The latest ONS labour force survey has revealed that the UK redundancy rate is virtually unchanged from a year ago at around 6 per 1,000 employees. With the unemployment rate currently at 8.3%, up 0.5% over the year, and the deepening Eurozone crisis it seems both employers and employees will still be getting to grips with redundancies in the foreseeable future. Jon Allen and Rachel Bamber, two successful entrepreneurs, who have both experienced redundancy themselves, are taking action to support these people. 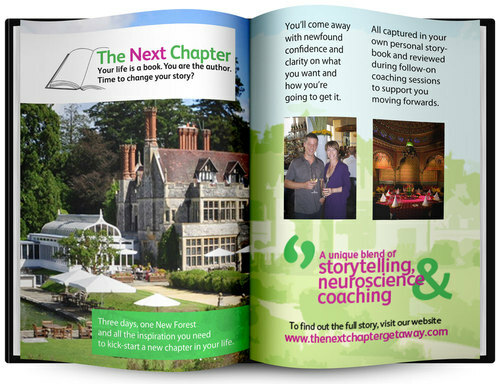 They are running a unique, 3-day personal development workshop that is designed specifically to help people take full control of the next chapter of their lives. Quote from Jon Allen, co-founder of The Next Chapter Getaway “Both Rachel and I have experienced redundancy and the torrent of thoughts and emotions that come with it. Thankfully we both look back on it now as one of the best things that ever happened to us. Why? Quite simply because it gave us the chance to take a step back and pursue the careers and lifestyles that we’d always dreamed of. Set in the tranquillity of the New Forest, The Next Chapter is based on the premise that life is a book and we are the authors of our own lives. The programme is rooted in the personal development work that Rachel and Jon have studied and practised over the last 12 years. For the first time they have married coaching and storytelling techniques with the latest research in neuroscience to create a unique, powerful and practical experience. Delegates will have the opportunity to meet people in the same boat, make sense of their story so far, understand what is important to them moving forwards and create a plan to go and get it. On-going coaching sessions are also included to provide additional support and accountability after the event itself. Book by 31 Dec 2011 to get all of this for £895. From 01 Jan 2012, pay £975. Book 2 places at any time and enjoy 20% discount! Reader offer: get 10% discount. 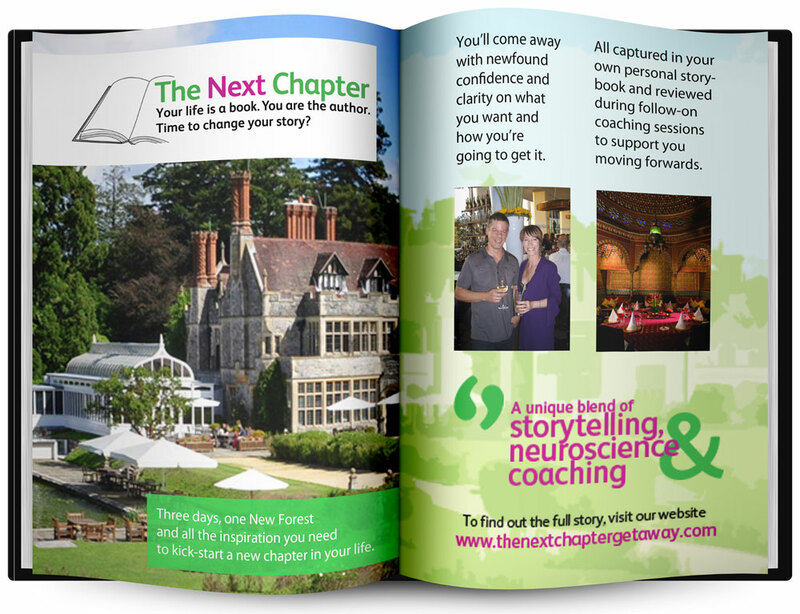 The Next Chapter was founded by Jon Allen and Rachel Bamber, professional performance coaches and trainers. Using a unique blend of coaching and NLP grounded in hard science they have enabled thousands to take action and advance their career. Jon and Rachel have worked with employees from Accenture, BBC Worldwide, Deloitte, Ericsson, GSK, Ernst & Young, Google, HSBC, Microsoft, Oxfam, Oxford University Press, Samsung Tetley, Lloyds TSB, Unilever and Which? N.B. More details about Jon and Rachel, colour photos and logo available on request. This press release was distributed by ResponseSource Press Release Wire on behalf of Brighter Thinking in the following categories: Women's Interest & Beauty, Business & Finance, Education & Human Resources, for more information visit https://pressreleasewire.responsesource.com/about.